If you are an Olive Oil user, then you know how important it is to have a good quality olive oil. If you get one that's lesser quality, the flavor tends to be strong versus mild. I love to use olive oil with everything and I sure don't want to taste olives when I am making a cake! Capatriti Olive Oil is perfect for my family, because it has a great taste everyone loves. I feel like when I cook things like chicken, the flavor tends to be stronger, and when I made baked goods, I don't even taste a hint of olive, yet we are all getting the good healthy fats we need. 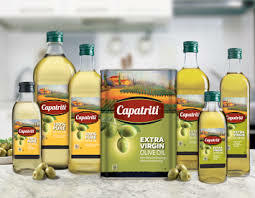 When you reach for Capatriti brand food products, you can feel confident you are receiving a top-quality, healthy, delicious product that will enhance any dish. 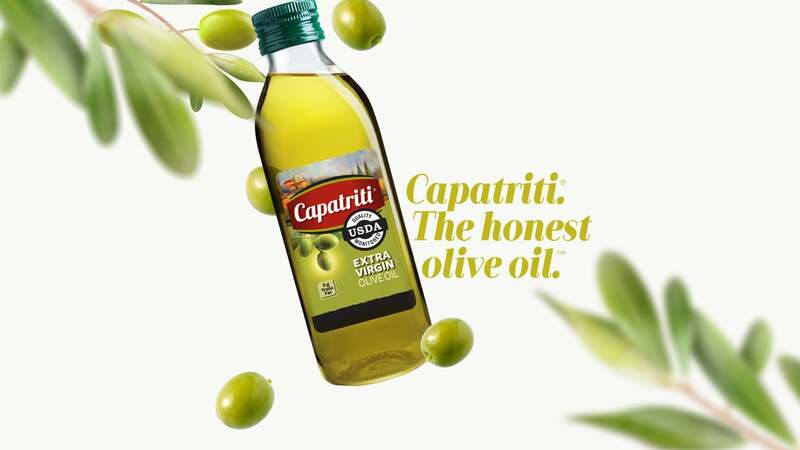 That’s because Gourmet Factory’s Capatriti brand oils and Mediterranean foods are among the most delicious and high-quality on grocery store shelves and in restaurant kitchens today. We take great care in sourcing our olives, and maintain extremely high standards for the global distribution and packaging of all our products. Extra virgin olive oil – The full-bodied flavor of this nutritious oil is delightful in an array of recipes, or even on its own for dipping. 100 percent pure olive oil – The mild flavor of this oil is excellent for grilling, baking, and sautéing. Blended oil – This oil provides the benefits of the high smoke point and usefulness in cooking of canola oil with the delicate flavor of our authentic extra virgin olive oil, to create a highly versatile cooking oil. Balsamic vinegar – A staple of Mediterranean dishes thanks to its rich, deep notes of red wine and grapes, Capatriti balsamic vinegar is also the perfect complement to any of our edible oils. Minced garlic – Our savory garlic is pre-minced and available in oil or water, making it easy to add this essential ingredient to all your favorite dishes. You can purchase Capatriti products online at Amazon, or in most mass retail stores and grocery stores.